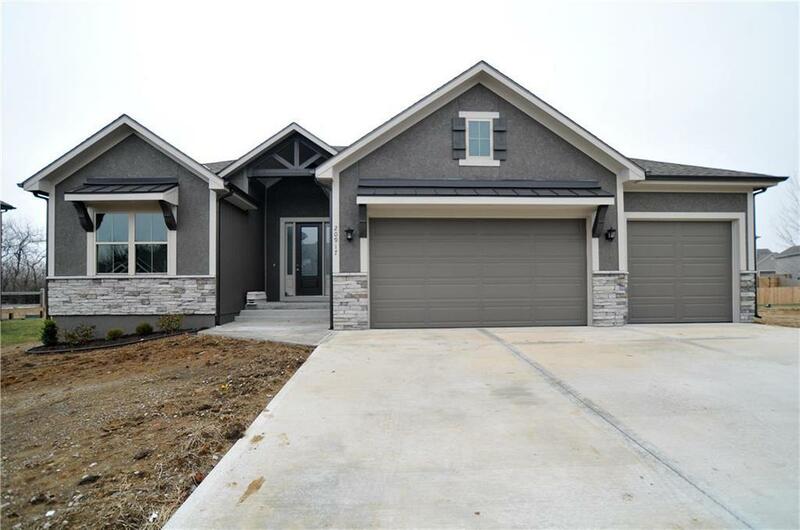 This is the UPGRADED Woodview IV Parade of Homes Gold Winner by Regency Homes LLC. This open floor plan has 8 ft entry door, 12ft vaulted ceilings w/wood beams and tile floors on main level. Granite in kitchen/baths, tile floors in baths & laundry. Floor to ceiling stone on see thru fireplace. Kitchen has extended upper cabinets, over sized island, large walk-in pantry with the must see pantry garage door. Vaulted Master Bath with tiled shower, double vanity, walk-in closet with built in dresser.